We only accept CREDIT CARDS & CASH. 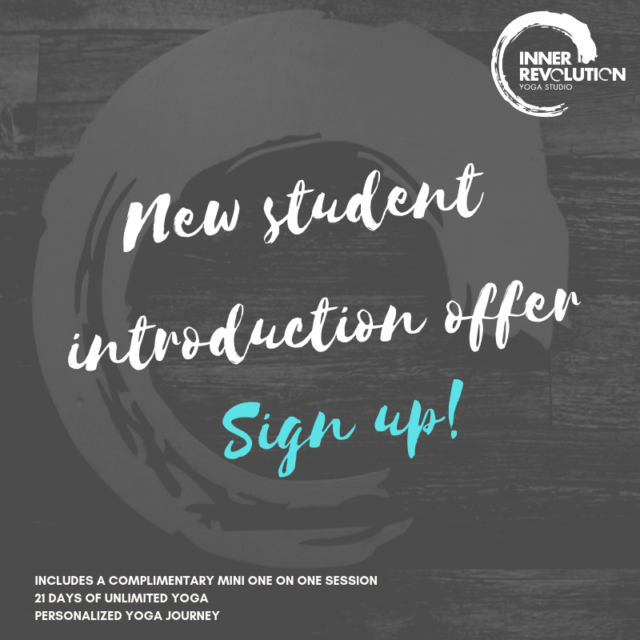 Trial offers – Want to try yoga without the commitment? Flexible Options – Can’t commit to a membership? Buy a multi class pass. Membership Options – Ready to make yoga a practice? Private Options – Want a personalized session? We will only be accepting CREDIT CARDS & CASH. Please call or email the Inner Revolution team to book your private session. We do not take online reservations for private yoga. We will also come to your work or home. Prices will vary for offsite yoga instruction.